We design it just for you! We work with you to design a custom template to match your colors and theme. Then we add your message , names and date and/ or logo(s) if available. Size does matter! Choose what size your print will be. Want to spread the word of your event? See your photos anytime- you can download your photos from our gallery! Guests can choose the Option of Black & White or Color photos for each Photo Booth session and we even offer filters! Put a Hat on It!!!! We offer some really incredible props! Were are not talking a few cheap hats and glasses in a box. 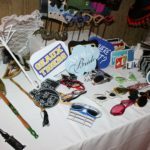 We fill up a table with premium signs, plush hats, fun glasses and hand painted stick props. 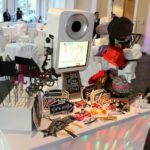 All of this is neatly organized and displayed using hat racks and sign holders so your guest are not digging through a basket. GoGo Social will allow your guests to share their photos on Facebook, Twitter and Instagram as well as send via email to themselves, friends and family. We can include specific default hash tags for all social media posts. 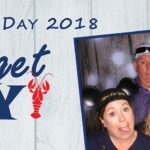 The kiosk is separate from the photo booth so that guests do not have to wait in long boring lines.